Pick up and tranfer to hotel for check in. Rest of the day is free. Private table dinner at cruising Bon Sai restaurant. Overnight in Ho Chi Minh City. Today is free in Ho Chi Minh City. Shop and relax at your hotel. Overnight in Ho Chi Minh City. Depart for Can Tho in the Mekong delta by private car to experience the local life on the side of the National highway. Check in to your hotel and be free or walking around the heart of Mekong city. Romantic dinner with special food of the Mekong delta at your hotel. Overnight in Can Tho. A morning boat trip takes you to the floating market of Can Tho (Cai Rang and Phong Dien) mix with the local who exchange fruits on their boats, then we try the “monkey bridge” and some workshops. Return to your hotel for checkout. Drive back to Ho Chi Minh city where we have dinner. Overnight in Ho Chi Minh City. Four hours by car to get to Mui Ne beach from Ho Chi Minh city. You can enjoy sun bathing on the very beautiful beach in Mui Ne. After lunch, we take a jeep to the top of yellow sand dune by sunset head back to the hotel. Overnight in Mui Ne. 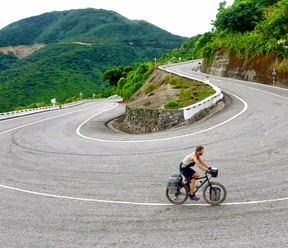 A private car will take you to Nha Trang today, driving along the coastline of Vietnam, visiting beaches and meeting friendly people before arriving at Nha Trang city. Upon arrival we transfer to the dock and go by boat to Whale Island where you will spend two nights. Check in and walk around this little island, being sure to be back in time to watch the sunset with a drink. Overnight in Whale Island. We are sure you will never feel bored with this lovely island. There are plenty of activities here such as scuba diving, surfing, kayaking, floating bar etc plus great food and drinks. Overnight in Whale Island. After lunch, we check out and take a speedboat back to the quay where your waiting car takes you to Nha Trang. Check into the Sunrise Beach Resort and overnight in Nha Trang. Morning free followed by a visit to the Dam market then transfer to the airport for your short flight to Da Nang. Drive from Da Nang to Hoi An. Check in and overnight in Hoi An. Free day for shopping or relaxing at your hotel. Overnight in Hoi An. Short drive to Hue and check into the Saigon Morin. Dinner beside the Perfume River and overnight in Hue. Morning flight takes you to Hanoi. Transfer to the hotel for check in. Dinner at Lotus restaurant after the Water Puppet show in the afternoon. Overnight in Hanoi. Today is a free day again (great shopping in the Hanoi Old quarter) until transfer to the Hanoi railway station to catch your train to Sapa. Overnight on the train. Arriving early at Lao Cai where you take your private car to go up to Sapa. Breakfast at your hotel before strolling around Sapa town and surroundings. Dinner at your hotel. Overnight in Sapa. Another free day in Sapa, however you can take some optional trips to visit some nearby hill tribe villages. Dinner and overnight in Sapa. After breakfast at the hotel, walking around Sapa town to learn about the lifestyle of people here. In the afternoon, we take our car downhill to Lao Cai where we take the train back to Hanoi. Overnight on train. Day trip to Halong Bay today followed by a five hours cruise in a private boat with a sea-food lunch. Back to Hanoi in the afternoon. Overnight in Hanoi. List of hotels is recommended by ABS Travel. Please feel free to advise hotels you prefer in each category or combine hotels category at your wish ( tour price will be changed accordingly).